The two-day 2019 A2MEND Summit has come and gone, and yet for the life of me I can’t get enough, and pray these brothers keep this energy exchange going year around through some social channel. I hope the memories, moments and young scholars don’t fade away like most LA events tend to do. Dakar Foundation pledges to find a platform with our partner network that will build a funnel for the next generation of A2MEND scholars to find their road to service and sacrifice. Checking in at the A2mend Mentee Program conference. Protecting our Throne: Building on Black Identity to Create Academic Success. A2MEND, where did you come from, I wish I had known you sooner, because so many young men would be so much more capable to compete here in the creative-tech Economy in Los Angeles County, but because I know you now, I’ll shout your praises unapologetically. Scholarship recipient, and engineer student at Cal Poly San Luis Obispo on his way to summer Internship at Intel. Dakar Foundation was invited by Donovan Green, AT&T, to A2MEND’s 11th annual celebration without a lot of prior publicity and fanfare, yet I witnessed a mix of mentorship, networking, and well over 1,000 attendees fired-up and ready for anything. I sat a table for lunch with my good friend, Michelle Turner USC Black Alumni, Richard Benbow, Community Relations, UCLA, and next to Marryann Reyes Jackmon, California State University, Office of the Chancellor as we witnessed a range of emotions from tears-to-wisdom from this unsung group of administrators, instructors, and students. We exchanged handshakes and business cards throughout the full-day and took as many pictures and video clips as I could in one-day. 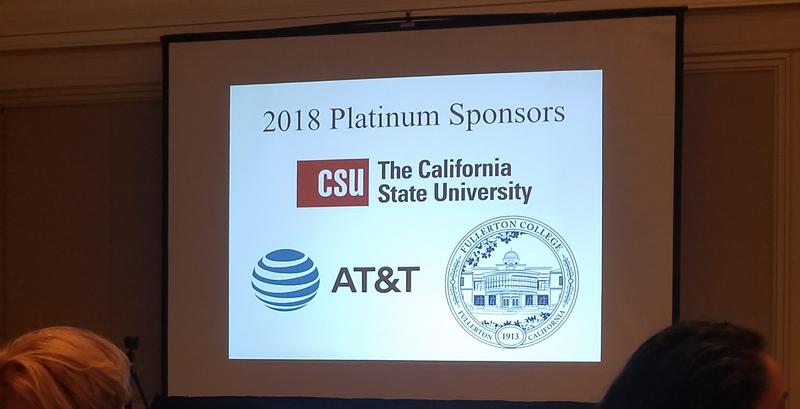 I commend Donovan and AT&T’s support at the Platinum level and witnessed A2MEND’s sincere appreciation and social impact at the Awards & Scholarship Dinner. So to Donovan, and AMEND, thanks for being one of the most memorable experiences I’ve witnessed in my 50 years of advocacy for under-resourced communities. Dakar has a new friend in A2MEND and an ally in the fight to get our communities cultural equity and inclusion at the highest level. Donovan said ” I attended several excellent career skills building and mentor workshops from morning to evening. During the scholarship luncheon several students gave very emotional testimonials on how A2MEND helped them to overcome challenges to qualify for scholarships and transfer to 4-year colleges. As part of their mission A2MEND gave out 70 scholarships to students to get them to the next level, and AT&T and other sponsors helped to make those scholarships possible. Below is our capture of the day-to-evening events, in no particular order. Instructor Eric Handy, Diablo Valley Community College Presents @ 2018 A2MEND Conference, March 1.